And we here in the United States are not the only ones who think so! Actually, there are a lot of different Halloween-esque customs around the world for celebrating this time of year. And here at ModernMonks, we get ridiculously excited about embracing other cultures and experiences. Our version of Halloween in America pretty much comes back to Samhain (pronounced SAH-win). This Gaelic festival was and is still practiced through a lot of Ireland and Scotland, even predating Christianity. It was meant to be more of a seasonal festival to mark the end of the harvest season and the beginning of the winter season. However, it was during this time that the veil between the spirit world and the mortal world was believed to be the thinnest. The locals believed that the elven or faery like spirits, called aos si (pronounced ees shee), could more easily communicate with the living during this time. 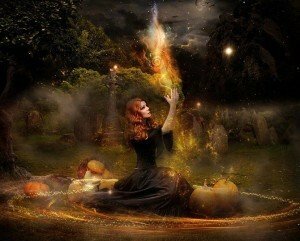 Therefore, the customs most often associated with Samhain typically had to do with divination and the visiting aos si. A solid evening of Samhain entertainment typically included mumming and guising, which was the ritual of going to different houses in a disguise and reciting songs or rhymes in exchange for food (sound familiar?). Others would stay at home and use different divination techniques to find out how many children they would have, or if their marriage would be a happy one. If you could cut it, cook it, or throw it, well then you pretty much had your own magic 8 ball. It involves laying stones around a bonfire, one for each person participating in the ritual. They would then dance around the bonfire exuberantly and examine the stones the next morning. If any stones were out of place, the corresponding person wouldn’t live to see another year. It’s a little like duck-duck-goose, except you REALLY don’t want to be the goose! 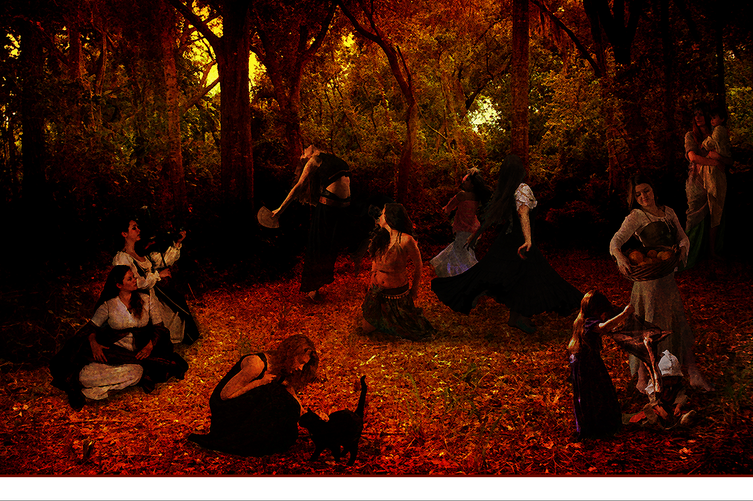 But it’s practices like these that make Samhain mystifying and special. The people of the British Isles found communication with spirit and the ability to see beyond their reality as a natural part of the seasonal shift. It’s a time filled with history and mystery that has clearly left its mark on the world. For three days (October 31st through November 2nd) Mexico is the place to be! 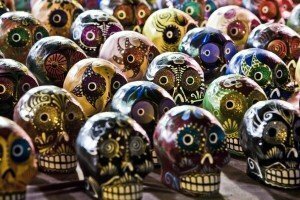 Dia De Los Muertos is, in essence, one massive party to celebrate the dead and to honor deceased loved ones. But don’t be expecting a funeral…it’s a full on fiesta! This is a time where the Mexican people believe that the dead can return to hear the messages of the living and communicate. They decorate and clean up the graves of family members. They deck out everything in beautiful flowers including bright golden marigolds, the main flower to honor the dead. Families tell funny stories about the deceased. 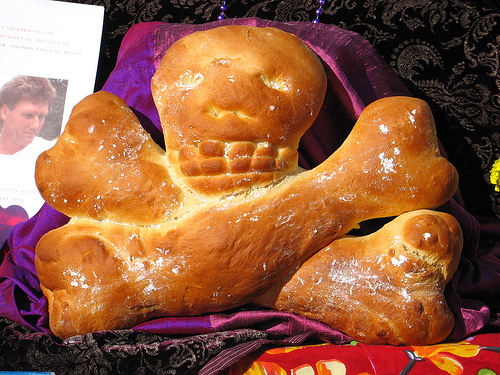 People feast on pan de muerto (bread of the dead) and sugar skulls while parading in brightly dressed costumes. And different regions add their own nuances and traditions. For example, in Patzcuaro, at midnight on the 1st, celebrators take the ultimate trip as they ride a winged boat to an island called Janitzio to honor the dead. It’s quite an amazing ceremony. But the best part is that they truly turn death into a celebration of life. The brilliant colors and spirit of Mexico shine through in this 3-day tradition. And the way they embrace the circle of life reminds us that the ones we love are never truly gone. So what is the 5th of November? 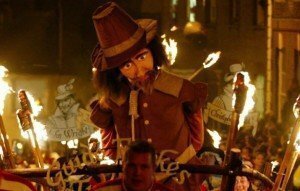 Why, Guy Fawkes Night of course! 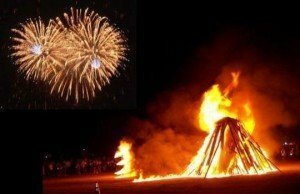 Guy Fawkes Night is a festival to commemorate the capture and execution of Guy Fawkes, the guy (yes, that’s where we get the term “guy”) who was guarding the explosives that were set to destroy the House of Lords in 1605. However, Guy and his conspirators were thwarted and the almost-victims were saved. Everyone was so thrilled that King James I survived the “Gunpowder Plot” that they made that day, November 5th, a national holiday. And not just any holiday, but an awesome holiday where kids dressed up with little “Guy” dolls and asked for money or candy or whatever you wanted to give “for the Guy”. And when we say “for the Guy” we definitely mean for a pyre to light the little Guy on fire. You’ve got to love their spirit! With the shift from Catholicism to Protestantism, All Saints Day, usually on November 1st, became obsolete, since Protestants don’t have saints. So what do you have today? Well, you get large parties with fireworks and bonfires. Because what better way to celebrate the lack of enemy explosives than your own patriotic explosives? They also decided that even if they didn’t need to celebrate All Saint’s Day, an excuse to dress in costume and get candy still seemed like an obviously fantastic choice. So they celebrate Halloween too. So there you have it! Britain somehow finds a way to blend a national celebration with ancient folklore creating quite an amazing week! Even here in America, Friday the 13th is still used as an excuse for viewing Freaky Friday marathons and hockey-mask-wearing-serial killers who REFUSE to die. Well, it just so happens that the Chinese also have a day like this, and it also just so happens to fall right around Halloween time. 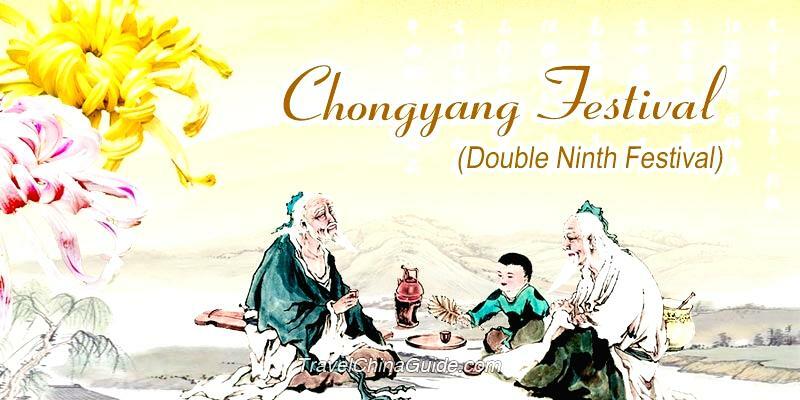 The Double Ninth Festival, also called Chong Yang, is observed in many parts of not only China, but Japan, Korea, and Vietnam. But even though it’s called the Double Ninth Festival, it doesn’t happen on September 9th, as one might believe. It happens on the 9th day of the 9th month of the lunar calendar. So this year (2015) it would be on October 21st. You see, in the I Ching, an ancient Chinese book of divination, the number 9 is considered yang. Now, yang isn’t really a bad thing, but it is more aggressive, compared to its yin counterpart. So double yang could present some challenges. 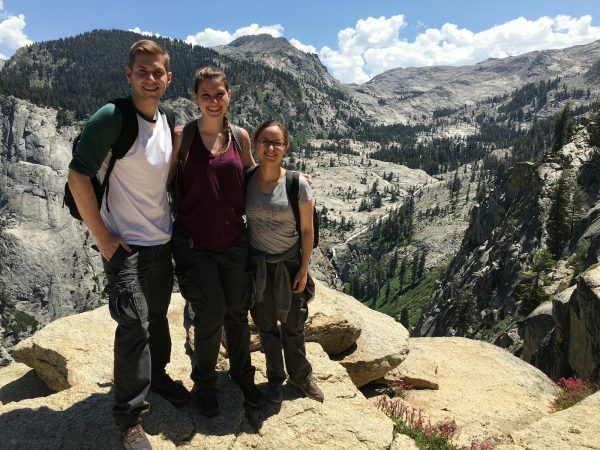 So they protected themselves by taking a hike to the top of a mountain, drinking chrysanthemum wine or tea (chrysanthemums were thought to be protective), and wearing a lovely yellow and red flowered plant called zhuyu (also believed to be protective). But why did they do this at the top of a mountain? The tradition comes back to the tale of a guy (no, not that “Guy”) named Huan Jing who told his town to head to the top of a mountain while he destroyed a pestilence inducing monster. And as pestilence inducing monsters sound pretty yang, it makes sense that they would celebrate this event on the Double Ninth. 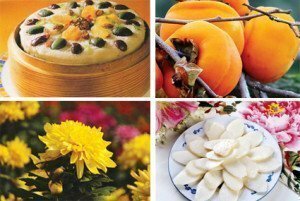 Kids learn poems about the chrysanthemum flower, people race to the top of mountains, and often, family members will honor their ancestors by cleaning and decorating their graves. The Chinese do have a festival that is much more similar to our Halloween called the Hungry Ghost Festival (Zhong Yuan), but that happens in August. It involves the return of starving ghosts from hell who must be fed and entertained by their remaining family. This is also a fantastically interesting tradition! This one is pretty similar to Samhain, except it happens on the Isle of Man, a little island right smack dab in the middle of the British Isles. This is a purely Celtic festival that happened long before Halloween came about. Its main purpose was to celebrate the coming of winter and the end of a successful harvest season. While this festival has some of the Halloween activities (dressing up and asking for candy), it also has a few interesting aspects of its own which make it unique. Here children carve out turnips instead of pumpkins. 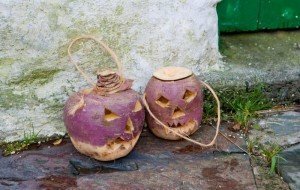 Funnily enough, kids used to beat the doors of neighbors who wouldn’t give them money for their trick or treating with those adorable little turnips. Luckily, this practice of battery has been replaced with the modern, more peaceful approach of simply knocking. But a lot of the fun stuff with Hop-tu-Naa centers around their specific divination practices! One such practice involved spreading the ashes from the fire at night over the floor. If they found a footprint in the morning, it would tell you your fate. A footprint towards the room meant a baby would be born, while a footprint towards the door meant someone would die. In another ritual, some girls would make a cake and eat it in silence. If they walked to bed backwards, then their future husband was supposed to appear in a dream and give them a drink of water. While some divining rituals could be a little more eccentric (one involved stealing a salt herring from a neighbor) they all centered around the idea that the future was no more than a story waiting to be discovered. 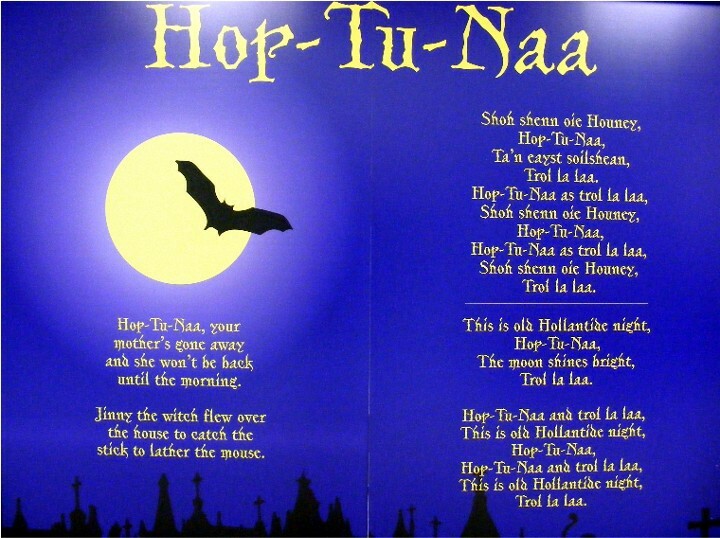 Today, Hop-tu-Naa is mostly a joyous time where children sing of “Jinnie the Witch” and the community celebrates with festivals and tradition. And that’s the really wonderful part about Hop-tu-Naa. The inhabitants of the Isle of Man find a way to honor the earth, spirit, and their fellow community all in a single night. With the celebration of a successful harvest, the welcoming of spirit, and the fellowship with their friends and family, they have developed a holiday that is sure to leave you feeling uplifted and connected. Isn’t it amazing how so many different cultures around the world have traditions centering around the same idea? Sure, many of them are different and unique, but they all seem to stem back to the same foundation: connecting with something greater than yourself. This Halloween, we invite you to try any of these fantastic traditions to any degree. It’s fun to incorporate small elements of significance from another culture as much as it is larger practices! Keep an open mind! For a time that is often about connecting with the unknown, Halloween presents the perfect opportunity to embrace a different culture or perspective. Maybe if we all try something new, we can take a step towards closing the cultural gap in a magical way.